Bót-... Auðgeirsarfa/Ocksarve(?) he/she had this stone cut over Bótheiðr(?) 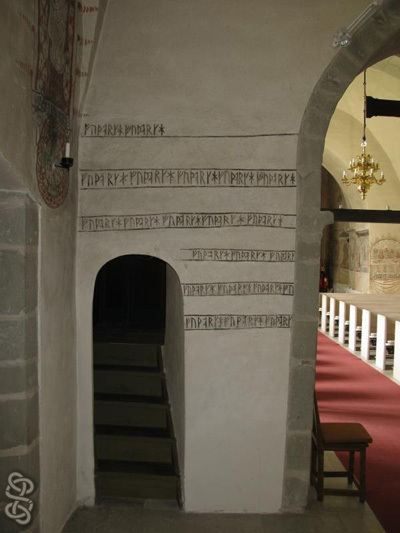 of Hagebýr and (owner of) Auðgeirsarfa/Ocksarve. When I was written, then Hail was the Sunday(-stave); Under-Man the Prime-stave in the twelfth row of the table. Pétar of Auðgeirsarfa/Ocksarve, he wrote me. Amen. 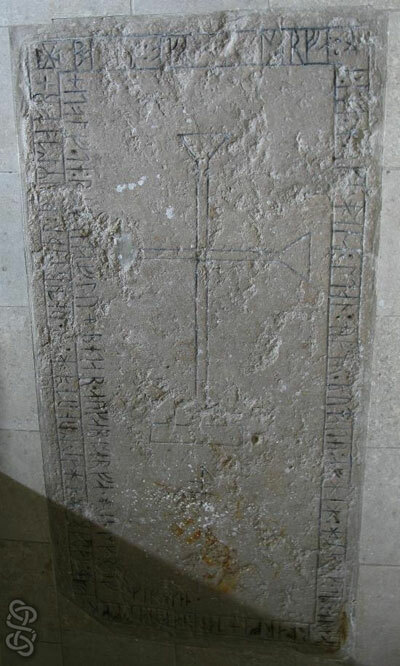 A grave slab in Hemse church. 21 times fuþorkh.... Ogneslav sent me the pictures. Thanks !